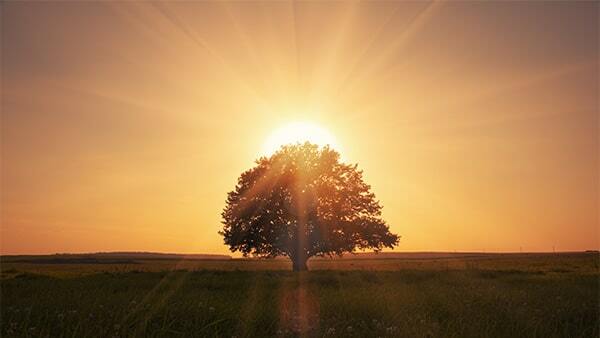 At Matthews Roofing, history isn’t just measured by the many years we’ve been in business. 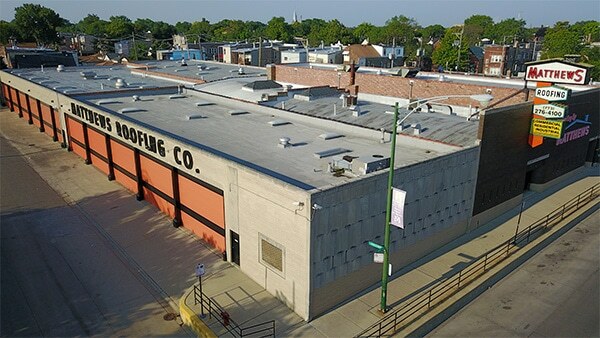 Since 1934, we have built a reputation in Chicago for quality, integrity and customer care that sets us apart from other Chicago roofing contractors. When you decide on a roof by Matthews Roofing, you’ll get a superior product and a Chicago roofing professional to guide you through the process. Whether you are looking for residential, industrial, or commercial roofing in Chicago, we’ve got you covered. You’ll also discover a personal touch that is often missing in today’s fast-paced roofing industry. We want you to be proud to say, “I have a Matthews Roof”. 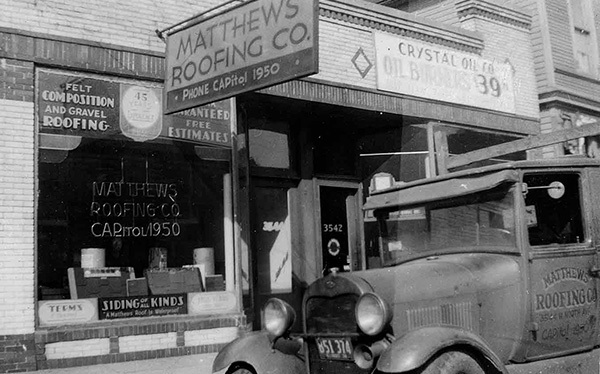 It was 1934 – in the grip of the Great Depression-that Elmer W. Matthews started Matthews Roofing Company Inc. in Chicago. In such a difficult economic environment, Mr. Matthews realized full well that only through unflagging dedication to service, excellence of workmanship, quality materials, unwavering dependability and affordable pricing could his business thrive. Since that time, those cornerstones have guided the family’s business principles in every generation. Today, Matthews Roofing stands alone as Chicagoland’s premier roofing contractor, specializing in commercial, industrial, institutional, and residential roofing. And though our commitment to excellence has been steadfast throughout our history, our methods and our capacities have advanced dramatically. Currently, we can run as many as 10 full-time production crews, each led by a skilled and experienced foreman backed by a team of fully-trained and equipped craftsmen-ready, willing and able to tackle any job, large or small. No matter how inhospitable the weather, how old the roof or how bad its condition, our service department is on top of it, repairing or replacing both swiftly and thoroughly. What better source for ethics and values training than working on the board of directors for the Better Business Bureau of Chicago and Northern Illinois year after year. The Better Business Bureau has been known for promoting ethical business behavior since 1912. Our clients benefit from Matthews Roofing’s commitment to the highest standards of ethical business and professional behavior. 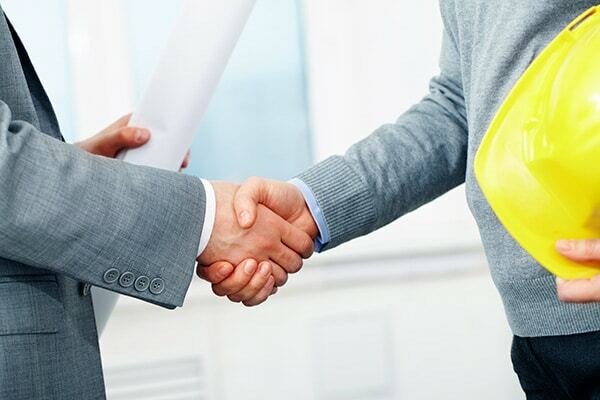 Our philosophy is simple: make decisions professionally and on the basis of the client’s best interests, and abiding by the principles of honor, fair practice and courtesy to all.